Arrows shot from recurve bows have more arc at shorter distances. 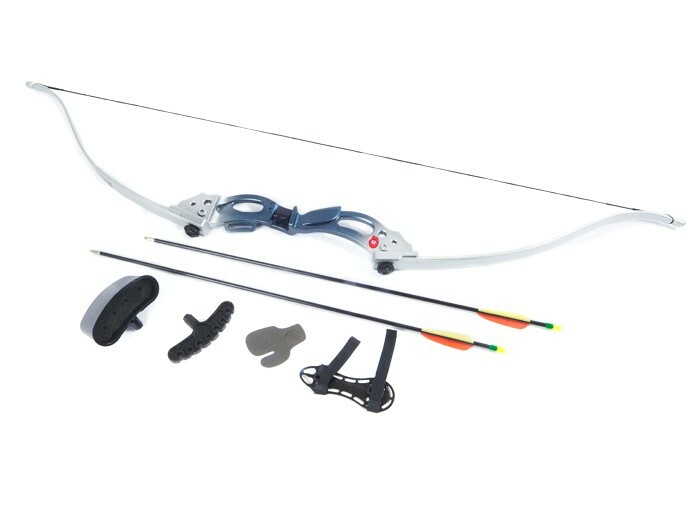 But most of all, recurve bows are a simple technology compared to compound bows, making it easier for the archer to get the hang of things. Crosman's Augusta recurve bow is sized for youngsters. 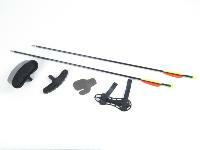 With this complete set, they'll be ready to start hitting targets right after their kit arrives. 1st question: why is this kid's bow a whopping 3 lbs. when an adult compound bow only weighs another half a pound?!! Next question: Why does this website take the visitor away from the item they are looking at during the sign-in process? I had to re-enter the item name in the search bar to find it again. 3rd question: Is the draw weight determined by loosening the limb bolts, a longer string with lower brace height, or is it based on draw length?